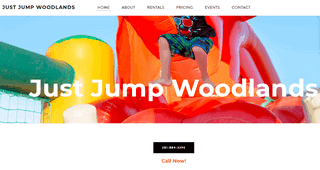 Just Jump Woodlands provides party supply rentals to customers in The Woodlands, TX area. There are a variety of bounce houses to choose from. Tents, slushee machines, cotton candy machines, and popcorn machines are also available to rent.